This beautiful East African nation, bordered by the Indian Ocean to the east, Kenya to the north and Mozambique to the south, is home to Mount Kilimanjaro, Serengeti National Park, the picturesque Zanzibar archipelago, and an incredible array of wildlife. With nearly 40 percent of the country’s territory established as reserves or national parks, Tanzania is a huge tourist draw. Despite Tanzania’s booming tourism industry, as many as 70 percent of people live in remote rural communities, and almost half live on less than $1.25 a day. The adult literacy rate is only 68 percent, and one in five children is engaged in child labor. The country struggles to provide adequate access to education, water, health care, food security, and employment for millions of people. Our work in Tanzania dates back to 2002, when we put teams on the ground to help build schools and develop education programs. 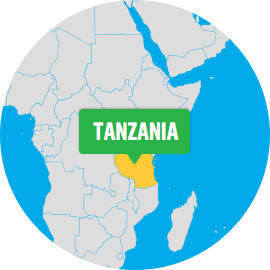 Since then, we have forged incredible community and government partnerships that have set the groundwork for adding Tanzania to our five-pillar Free The Children’s WE Villages program. 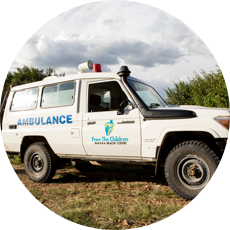 Made possible by the support of founding partner the Peter Gilgan Foundation, we have expanded our programming into Tanzania’s Arusha region. In the spring of 2015, we partnered with three Maasai communities just south of the Kenyan border—Engikaret, Namelok and Engutukoiti—and together, we broke ground on new classrooms, a library and a lab. We will implement the remaining pillars of our development model—Water, Health, Opportunity, and Food—over the next few years in partnership with the communities. Here are some of the projects we are proud to partner on. 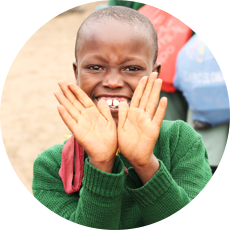 In 2001, Tanzania eliminated fees for primary school and by 2009 enrolment had expanded to 95 percent. But the rapid enrolment left a shortage of educators. With an average teacher-to-student ratio of one to 49, schools have seen a serious decline in the quality of education. A low teacher-to-student ratio isn’t the only issue affecting schools in Tanzania. The country has high rates of child labor, and girls in particular are often kept from school because of household responsibilities as well as early marriage and pregnancy. These barriers are especially high in rural communities, which have the highest rates of primary school dropout. When students aren’t able to graduate, they aren’t able to build the skills necessary to break the cycle of poverty for themselves or their community. Access to clean water and sanitation facilities is crucial to keeping communities healthy, but almost 44 percent of people in rural Tanzania lack access to safe drinking water. Time spent walking to find clean water, and the incidence of waterborne illness from unclean sources, prevents women from taking care of their families and girls from attending school. In rural Tanzania, malaria, respiratory illness and diarrhea are among the most common health issues. The country has an incredibly low physician-to-patient ratio of 0.03 per 1000 people, which is often worse in rural areas. Tanzania’s maternal mortality rate of 41 per 1000 live births is one of the highest in the world and few women here receive adequate pre-natal care. One of the most important aspects of our Health Pillar is the health education program in schools and the home. Promoting the importance of good health and hygiene is a key element in achieving the fullest health potential for community members. Due to rising food prices, food insecurity and drought, the majority of Tanzanians don’t get the nutrients necessary to maintain a healthy diet. As a result, there are high rates of malnutrition: 16 percent of babies are born underweight and 42 percent of children experience stunted growth. More than 75 percent of Tanzania’s workforce relies on agriculture for most of their income, compared to three percent in food-secure countries. Communities in the Arusha region also have become increasingly vulnerable to drought and the negative effects of changing weather patterns, which have had a devastating impact on people who rely on rain-fed water systems and natural water sources. Despite Tanzania’s robust social policies, people living in rural areas largely earn a living by subsistence agriculture and raising livestock, making them vulnerable to changing weather patterns and other external factors. Women are particularly at risk because they don’t have equal access to social and economic assets. 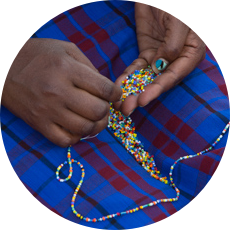 Our goal is to provide community members, especially women, with opportunities to generate a sustainable source of income, build savings and start their own businesses. Namelok is located next to picturesque Mount Meru, at the center of Arusha National Park, in the northeast corner of Tanzania. The community has a population of 2700 people, mainly Maasai, whose main occupation is animal husbandry. WE Charity is excited to partner with the community of Namelok. Their dedication to providing education for their children is evident through their presence at the school—planting flowers, cleaning the compound and beginning a school farm. Since partnering with WE Charity, huge improvements have been made to the wellbeing of the community. Here’s how. Renovate existing classrooms and construct new buildings ensuring enough room for students to focus in class. Educate parents on the importance of educating both boys and girls. 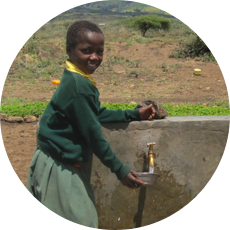 Construct a clean water system, providing the community with access to clean drinking water. Build new latrines at the school—an adequate number of clean and private latrines also keeps girls enrolled in school. Conduct water workshops to teach students the importance of proper sanitation. Strengthen preventative health services through health promotion workshops. Create a school health club to build raise awareness of common health issues and disease prevention measures such as hand washing and boiling water. 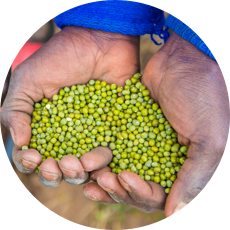 Provide agricultural training to groups involved in gardening and promote self-reliance and community involvement. Provide students with training on environmental and agricultural sustainability and the tools to manage the school garden. Build on the community’s initiatives, providing alternative income and livelihood programing that will focus on formalizing the existing women’s groups and creating new groups including men’s and youth groups. Train the groups in financial literacy, business skills, leadership and conflict resolution empowering the community to lift themselves out of poverty by expanding or establishing small businesses and diversifying their household income.